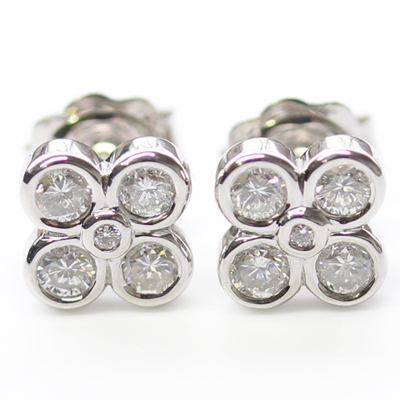 9ct White Gold Diamond Earrings — Form Bespoke Jewellers Ltd.
A pretty pair of 9ct white gold diamond earrings. The customer came to us looking for a multi-stone earring design that would incorporate diamonds that they already owned. Alongside the guidance of our expert jewellers, a flower-like design was created with a smaller centre diamond surrounded by four larger diamonds. All of the round brilliant cut diamonds have been rub set by hand to ensure a lovely tactile finish. 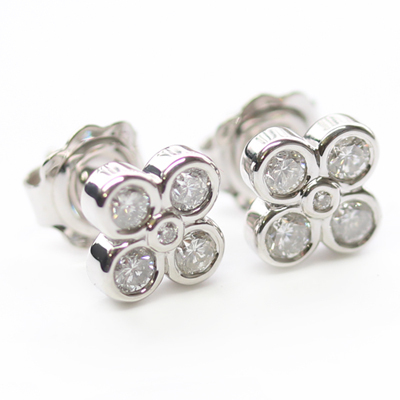 Cast in 9ct white gold, these pretty diamond studs complement the customer’s other jewellery beautifully. A sparkling pair of bespoke earrings.